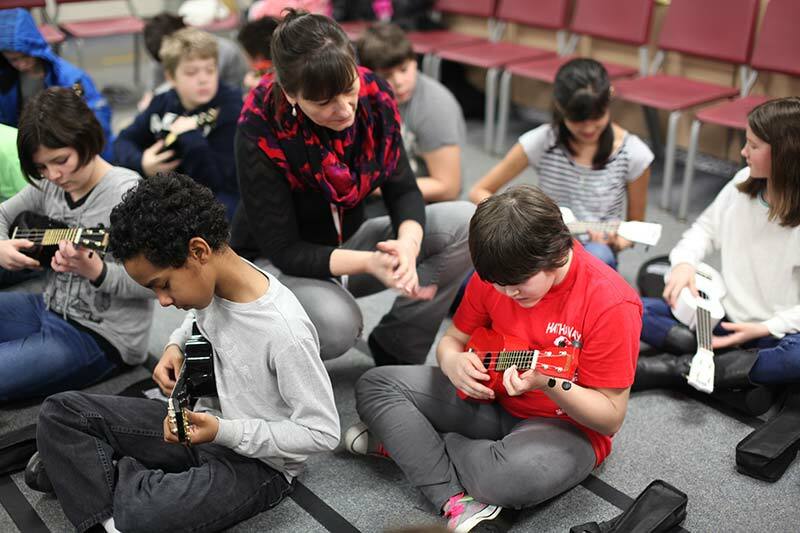 To teach students in learning music theory thru a string instrument. 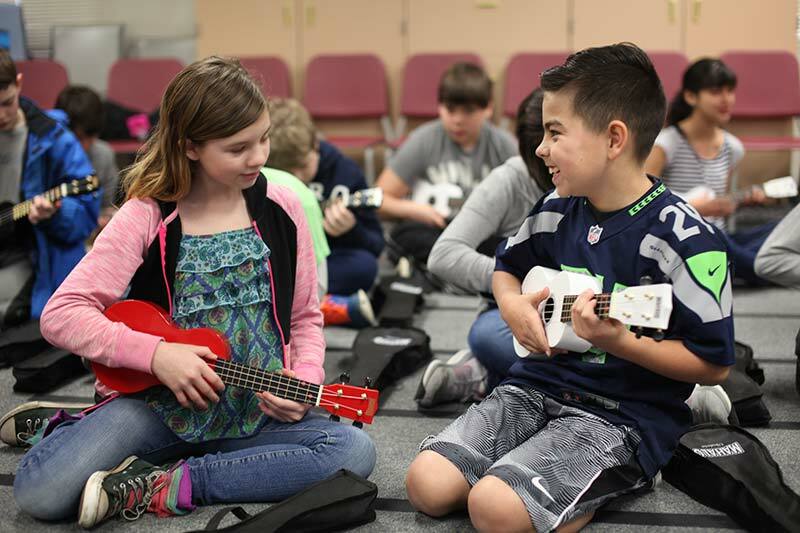 Hathaway music teacher Amy Switzer recently secured a $1,000 Creative Classroom Grant for the purchase of 100 ukuleles. She is using these new instruments to teach her students about music theory. 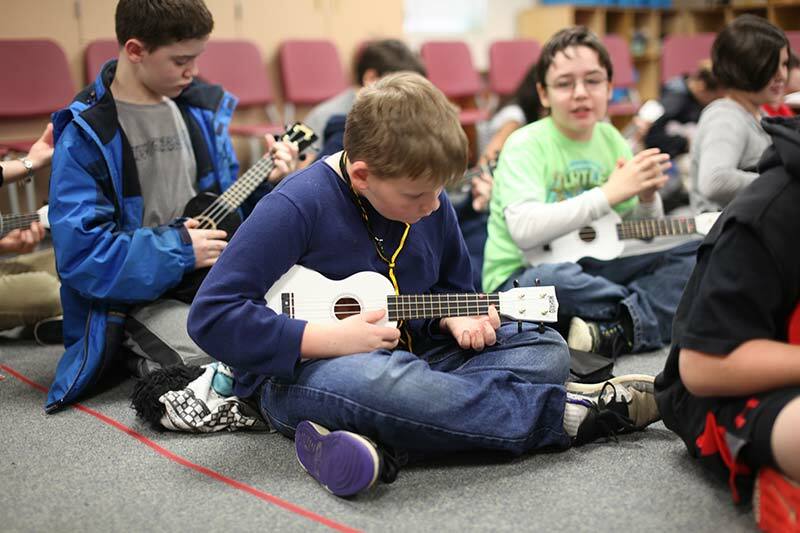 Learning to play the ukulele opens the door to learning other string instruments such as guitar. It’s one more way to engage students who may not otherwise be that interested in music other than listening to it at home. 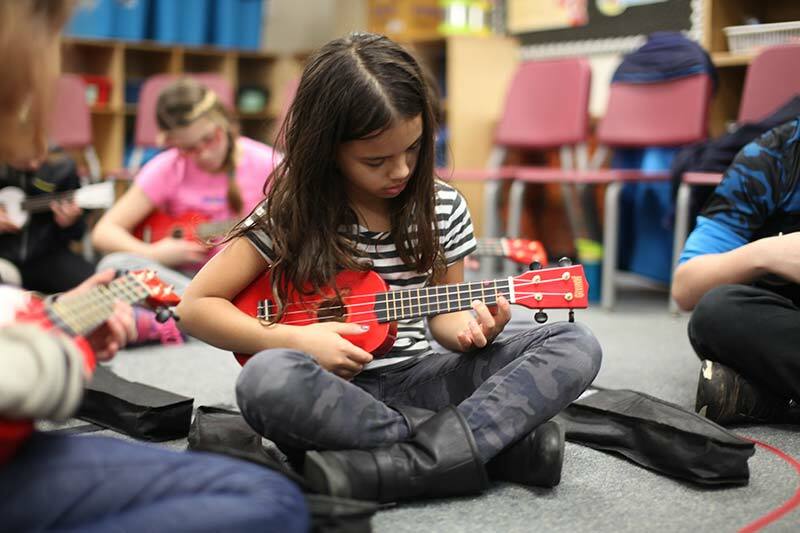 It is a connection to many of the songs they know from their own world and makes music lessons more relatable to who they are, especially for our upper grade level students. 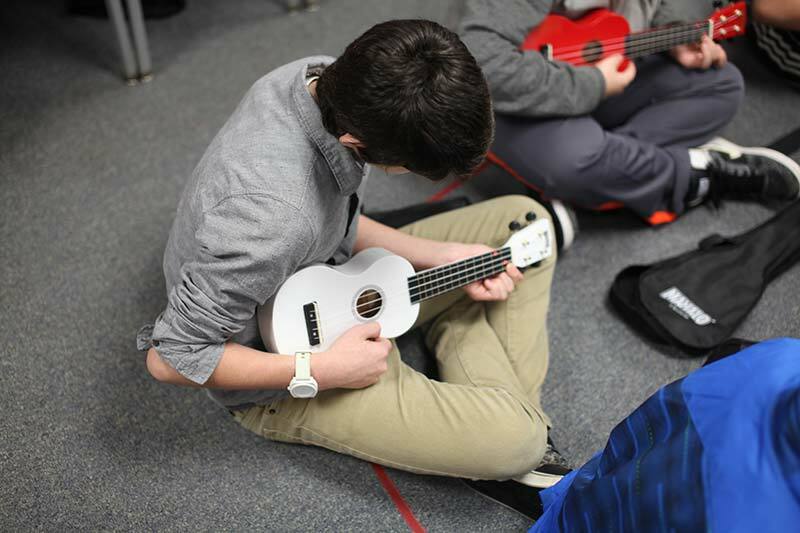 Some of the students enjoyed the ukuleles so much, they went out and bought their own to play at home.